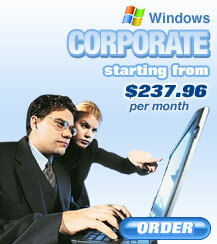 Get setup with a Dedicated Windows Corporate Plan. This dedicated hosting solution is a power packed plan for your corporate needs. If you need to expand in the future, you can upgrade your server to add more memory and more disk space. Click here for more info.